When Howard Devoto reconvened his band of post-punk fabulists after a 28-year hiatus earlier this year, it not only revisited a back catalogue that married a Proust and Dostoyevsky-inspired lyrical ennui to sophisticated layers of sci-fi punk-prog-glam. The exquisitely rehearsed shows also demonstrated how rock gig and theatrical spectacle can make for a thrillingly dramatic vindication for a band that might just have found their moment. What sounded polished in the studio was transformed live into something edgier and more urgent, with Devoto conducting proceedings like an over-grown and delighted baby. Perhaps the biggest surprise beyond the twin peaks of paranoid anthem ‘Shot by Both Sides’ and hymn of self-loathing deification ‘A Song from Under the Floorboards’ was just how much soul drives Magazine. 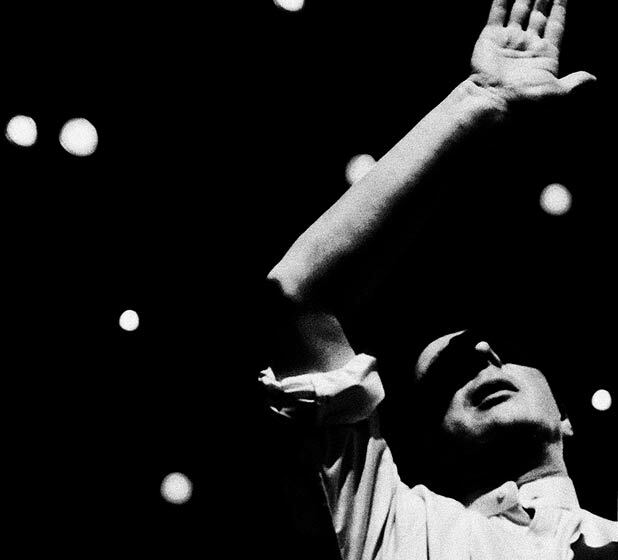 With these shows captured in all their glory on a forthcoming live DVD, Devoto – alongside bassist Barry Adamson, keyboardist Dave Formula, drummer John Doyle and Apollo 440/Luxuria guitarist Noko standing in for the late John McGeoch – has decided to further revisit their still magnificent collection. ‘Songs about love, songs about fear, songs about the fear of love and the love of fear’ observed one 1980 review of the band’s The Correct Use of Soap album. It’s time to embrace the fear again. Picture House, Lothian Road, 0844 499 9990, 30 Aug, 7.30pm, £25.